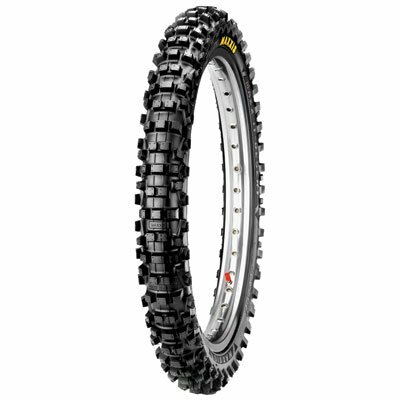 The Maxxis Maxx Cross Desert IT tire has a specially designed compound to increase the tires durability in rocky or desert conditions by reducing chipping and cutting. Stiffer carcass design minimizes flex, reducing the chance of pinched tubes. Tall knob design improves the tires traction when racing in sandy conditions. If you have any questions about this product by Maxxis, contact us by completing and submitting the form below. If you are looking for a specif part number, please include it with your message.